beneficiary for this event is PolioPlus, Rotary's worldwide polio eradication project. experience that should not be missed. All art works are for sale. 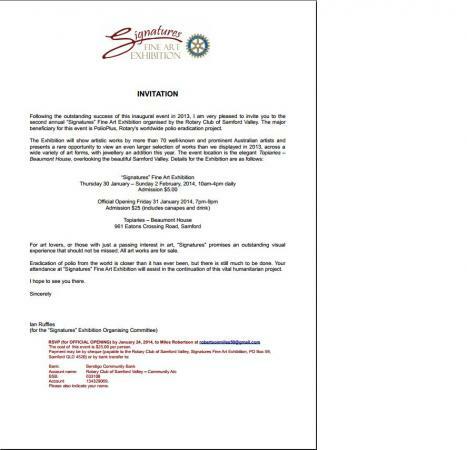 attendance at “Signatures” Fine Art Exhibition will assist in the continuation of this vital humanitarian project. The cost of this event is $25.00 per person. Please also indicate your name. Below are the photos available for this article.